Identical twins Raphael and Ray Mack graduated from Watertown High School in the early ‘60s and were recruited by legendary coach Clark Swisher to play split end for the Northern State College Wolves. After playing football for two years, Rafe got a part-time job managing Shimmy’s Bar, booking entertainment and working as a bartender. When the Macks graduated in December 1968, they decided they could make more money in the bar business than in education. The Depot Club had been opened and closed twice in the mid ‘60s, but the Macks thought they could make it work. Rafe said, “We begged and borrowed until we had enough money to begin.” They thought booking live music was important. One of the first bands hired was the Flippers. Terry Wierman and his group arrived a few days early so they could rehearse at the Depot Club. Terry told the Macks the Depot’s small stage would not work, so the band helped build a large extension. The Flippers were scheduled to play Thursday through Saturday night for 90 percent of the $2 cover charge with a $500 guarantee for the weekend. A huge snowstorm hit the Aberdeen area, closing schools – and students crammed into the Depot Club all three nights. The police and fire marshal saw the packed crowds and allowed late arrivals in only when someone else left. Over $1400 was taken in. And much beer was sold and consumed. The Train, a local band led by John Bomar, often played on weeknights. Many Lawrence, KS, bands played the Depot: Red Dogs, Spider and the Crabs, and the Flippers. Velvet Glove, an all-girl band from Minnesota, was a big attraction. South Dakota bands included the Pilgrims, Chateaux, Chevelles, New Group, and Marlys Roe and the Talismen. Sherwin Linton and the Cotton Kings were a Sunday night attraction. Jimmy Thomas loved booking his bands into the Depot. The experience was positive for both the bands and the bar. Bands loved playing for crowds that truly appreciated the music. Rafe estimated 40-50 bands played at the bar. 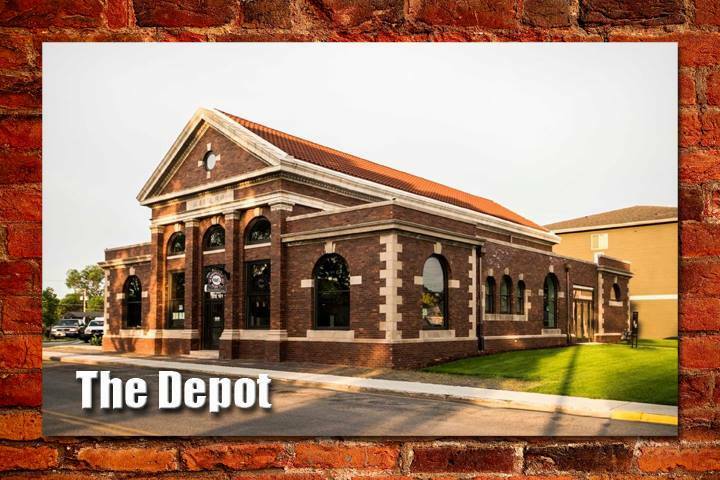 Since the Depot, an actual former depot, was just 20 feet from the railroad tracks, security from both the railroad and the bar was heavy when trains rolled in. Some beer-fueled patrons would try to hop on the iron horse, but no injuries were reported. The Macks would have a police patrol car flash its lights at the midnight closing time, and college students walked a straighter line back to their dorms just two blocks away. The Depot Club was sold when the drinking age was raised to 21 in 1971. The Macks also recognized the drug scene was increasing. Both twins were married that summer and ran a successful real estate business. The building was recently remodeled by Tom Hurlburt to house Co-op Architecture. The SD Rock and Roll Music Association Hall of Fame is proud to induct The Depot Club.